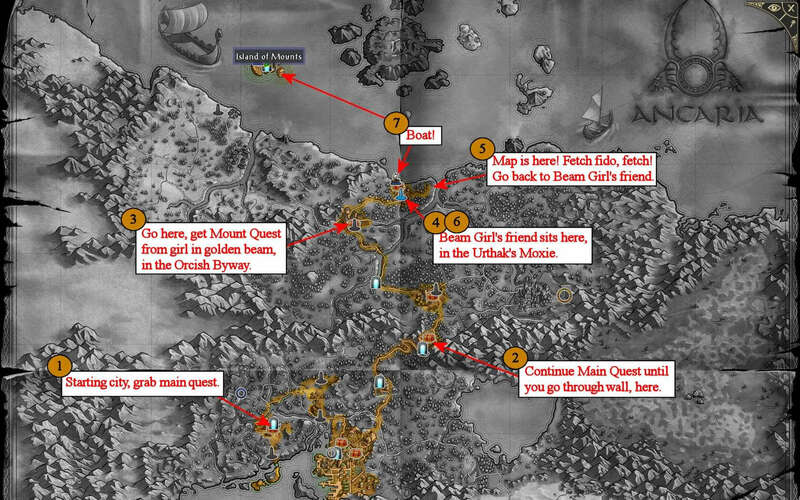 In a huge world like Ancaria, the player has to have methods for dealing with and traversing long distances. 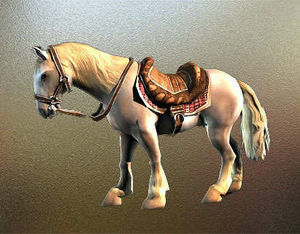 In addition to horses, each character also has a unique mount created specifically for that character class. This mount not only fits the personality of the character, but also complements the various aspects of the character's playing style perfectly. 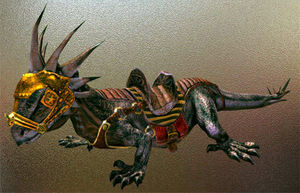 All mounts offer the player a faster travel speed. They also provide the mounted hero with additional bonuses, mostly defensive. Players can choose to fight while mounted or on foot. Each method requires a different tactical approach. Each player will choose have to choose whether or not to use riding based on personal preference. Mounts can die, though this is an infrequent occurrence. If your health drops below a certain level, the mount will perish, leaving you on foot with a small amount of health. The exact point at which your mount dies is in dispute, nonetheless exercise caution when kiting as getting stuck can quickly lead to a remount bill of several million gold at higher levels. All classes can choose between four special mounts (see Note). These mounts have different colors with different abilities that are conferred to the character depending on which colored mount is chosen. Mounts will level with the character, and have almost as much access to the map as a character does with the exception (so far) of caves. They can even enter into houses while being ridden. 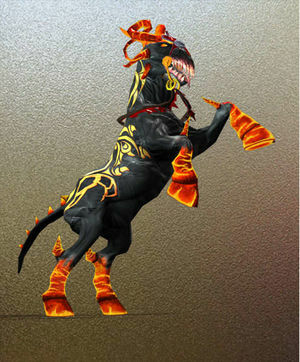 Three of any class's mounts will give a penalty of at least 30% to regeneration times. To balance that out, those three mounts offer a counter bonus of 33.3% to one chosen aspect. As an example, if a Seraphim chose the Celestial Magic Saber-tooth Tiger mount, she would have all of the regens on all of her aspects hit with a penalty that would increase the regen time with the exception of the one aspect that the mount offers a counter bonus upon. Choose wisely. 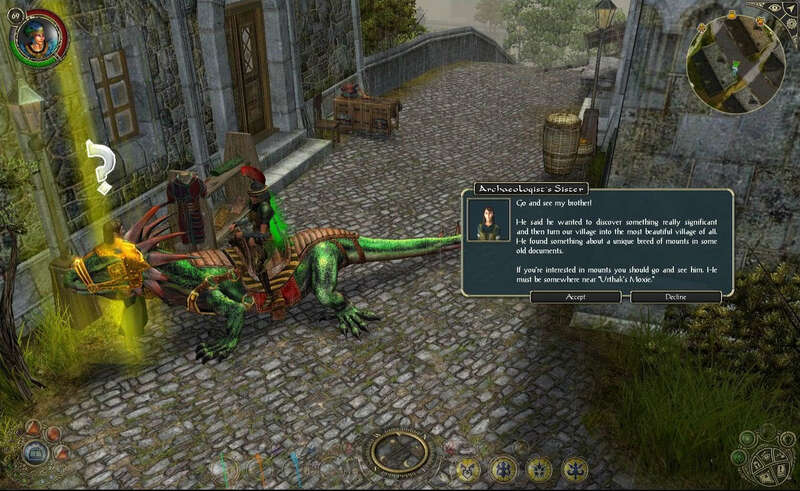 The quests to procure the Unique Mounts are most often completed between levels 15-20 and are much easier to do with the purchase of a horse mount beforehand (as this will allow you to reach the quest giver more quickly than walking on foot). The different colors of the mounts refer to the aspect the character will receive the bonus Combat Art regeneration to offset the negative penalty given across all aspects. 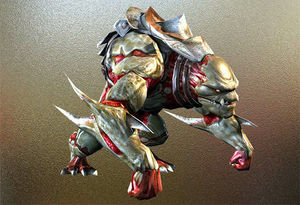 The non-aspect mount was removed from the game in the Ice and Blood expansion. All mounts from the expansion have a slightly different appearance compared to the ones from original game. The difference is in their armor, bridles and saddles. The mounts for the Inquisitor, Dryad and High Elf were also renamed. 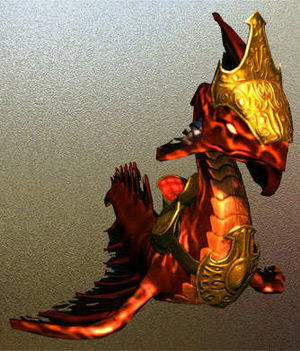 All mounts from the original game return with the Community Patch. 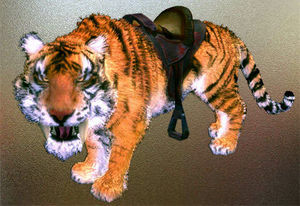 With the patch installed, the special mount vendor offers seven mounts - four mounts from the original game and three mounts that came with the expansion. Across Ancaria you will find many horse dealers. They offer all kinds of animals, from the simple nag up to a real war horse. Any NPC with a horseshoe icon will be happy to exchange a large sum of gold for a nice mount. The Seraphim may look like angels, but their mounts have nothing angelic about them. Their large fangs not only look dangerous, but are indeed deadly weapons. The Hellhound is the perfect companion for a warrior trapped between life and death. When this monster appears from the underworld, it strikes fear into the heart of every opponent. The Dryads respect nature and ever since the Great War they have hated T-Energy. It makes sense that their special mount is a Monitor Lizard, because these giant lizards complement the Dryad's preference for ranged weapons very well. The Wind Serpent would seem almost cute, if it weren’t for its glowing eyes. The Wind Serpent’s appearance is not as commanding as that of a Dragon, but its powers are no less formidable. The dark powers have provided a very special mount for the Inquisitor. 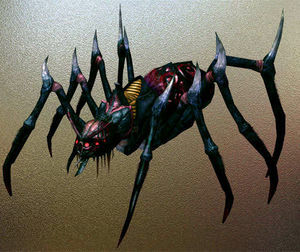 He rides on the back of a large dark spider while weaving his powerful spells. All characters except for the Temple Guardian have a “biological” special mount. 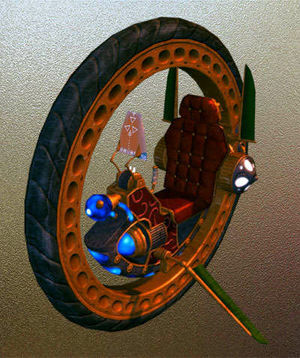 He, on the other hand, uses a modern, T-Energy powered monowheel, a machine that is as imposing as it is dangerous. The Temple Guardian can use his combat arts even when sitting inside the Mobiculum. At first glance only, this mythical creature is reminiscient of a horse. The Draconicon receives its legendary strength from the dragon blood, which flows in the veins of this hybrid being. Just a few dare to approach a wild Draconicon. Yet once it has been subdued and submitted itself to its master, it is one of the most powerful mounts in Ancaria. See Unique Mounts for the complete quest guide/walkthrough on how to get your Special Mount. 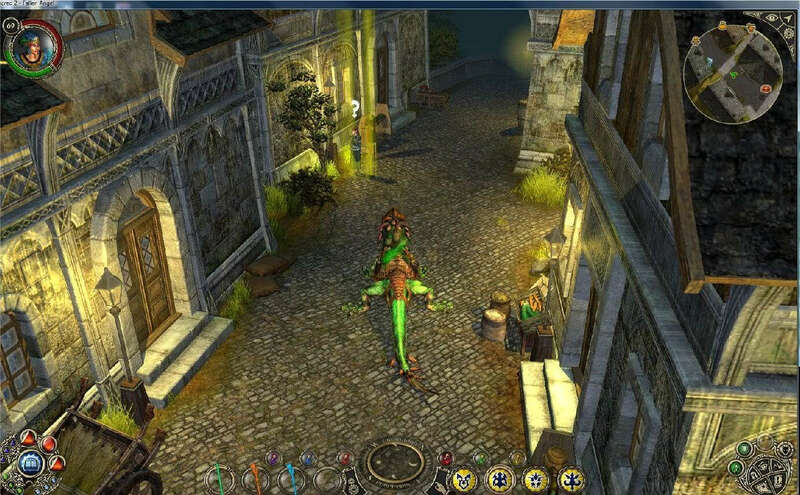 At Orcish Byway, the quest is given by a quest giver standing against a building that has a beam of yellow light coming down from the sky and shining down on top of her. Different classes have different movement speeds, on foot and mounted. For example, the Inquisitor is the slowest character while on his spider, but not while on foot. In a Multiplayer game the differences will not be very noticeable. Riding Mastery (the skill at level 75) adds a bonus on top of the mount boost. This is mostly noticeable for the slowest-moving characters; others will not experience an earth-shattering visual difference (even though they will really move "much" faster), due to the fact that the bonus is percentage-based. The Seraphim and Shadow Warrior are the slowest of all (and move at the same speed). Others move roughly 4% faster. "60% faster" is approximately equivalent to equipping 60% of Run Speed. All characters move at the same speed while on a horse. Below is a comparison with their run and special mount speed. This page was last modified on 2 January 2014, at 14:38.